The next time you buy beets with the greens still attached I beg you, don't throw them out. Eat those greens! The leaves should be crisp and green. Avoid leaves that are limp, wilted or turning yellow. Immediately remove the leaves from the beets and store them separately in the refrigerator. Beet leaves are really perishable and won’t last more than a few days. The sooner you use them the better. Beet greens are packed with good stuff: carotenoids, flavonoid antioxidants, and vitamin A. In fact, the leaves contain more of these things than the roots. Now, on to what to do with them. 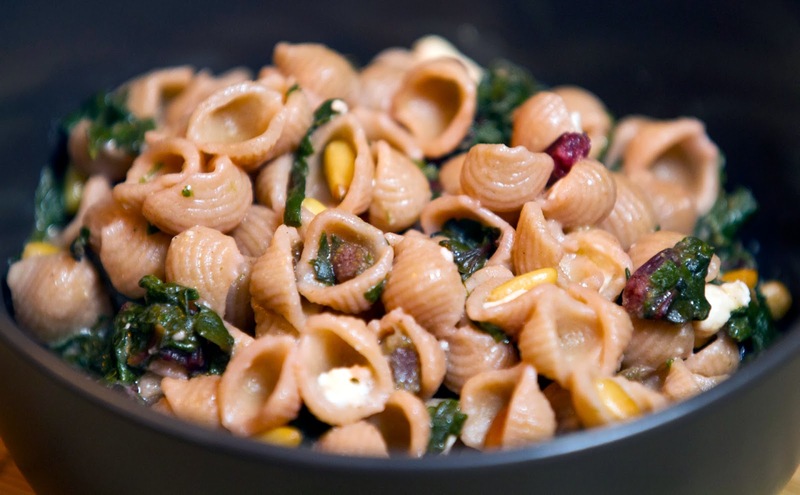 Whenever I think beet greens I immediately think pasta. Apparently, I'm not alone. 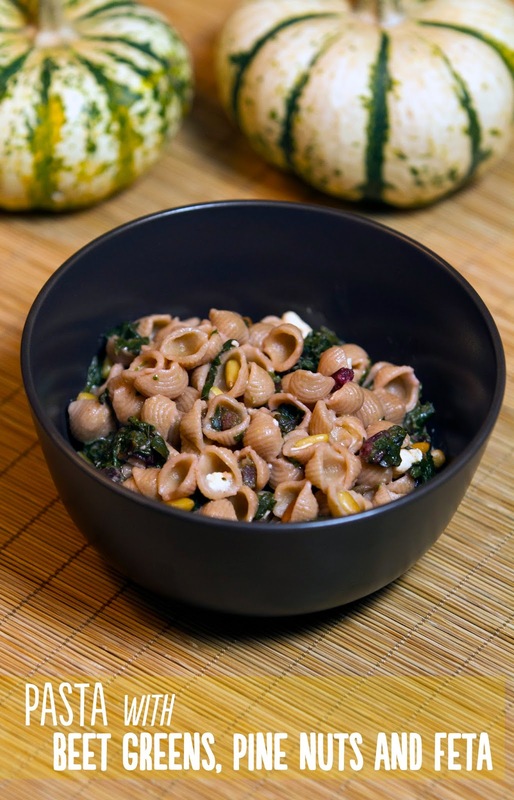 Just "google" it and you'll be served up a plethora of recipes for beet greens and various forms of pasta. It's a combination that just works. Anyway, back to the topic at hand - beet greens. If you have never had them, I would say they taste a lot like Swiss chard. Yes, they're on the earthy side, but I think that's why they pair so well with nuts and tangier cheeses like goat cheese or blue cheese. So, while this recipe may not be revolutionary, it's still seasonal, simple and (most importantly) really good. Hopefully, it inspires at least one more person to give beet greens a place at the table. Do you like beet greens? What's your favorite way to make them? In a dry frying pan toast the pine nuts. Gently toss around the pan to make sure they toast evenly. Once fragrant and evenly golden-colored remove from heat. Set aside. In a large saute pan heat 2 tablespoons of olive oil over medium heat. Add the beet stems and cook, covered stirring occasionally, for about 8-10 minutes until tender. While the stems cook bring a large pot of water to a boil. When it comes to a boil, salt the water and add the pasta. Cook until al dente. Meanwhile, toss the beet greens into the saute pan. Cook uncovered until wilted. Add the cooked pasta to the saute pan. Pour in the remaining olive oil, along with the toasted pine nuts and feta cheese. Season with additional salt and pepper to your taste. Stir to combine.